…and, like the legendary 46A bus, two come along at once. 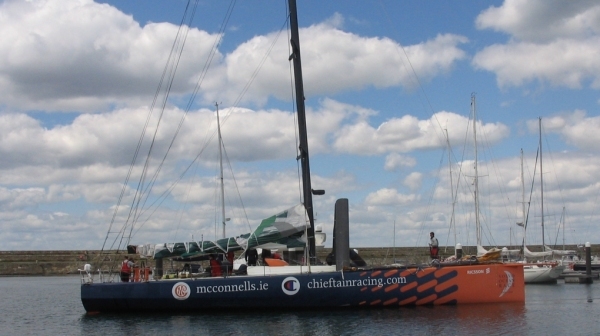 Limerick sailor Ger O’Rourke, twice named Irish sailor of the year, has had a rush of blood to the head and has bought Black Betty, better known as ABN Amro 1, winner of the 2005/05 Volvo Round the World Race. 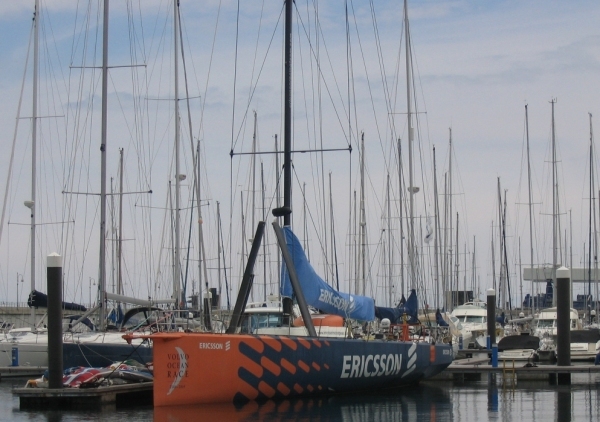 Team Ericsson has been using the boat as a trial horse for training in the Canaries as their two boats were being built. The war horse arrived in Dun Laoghaire Marina today and plans to do the Round Ireland Race from Wicklow beginning on the 21st. There is a hint of green in the sails, and the boat is due for a refit before training up for the 2008/09 Volvo Ocean Race which starts in Alicante in October. Wear well!